Brush glaze on and return to heat for a couple minutes to create a sticky, buttery peachy yummy delicious glazed piece of meat!! Open a cold beverage of your choice, call some friends and family and enjoy!! 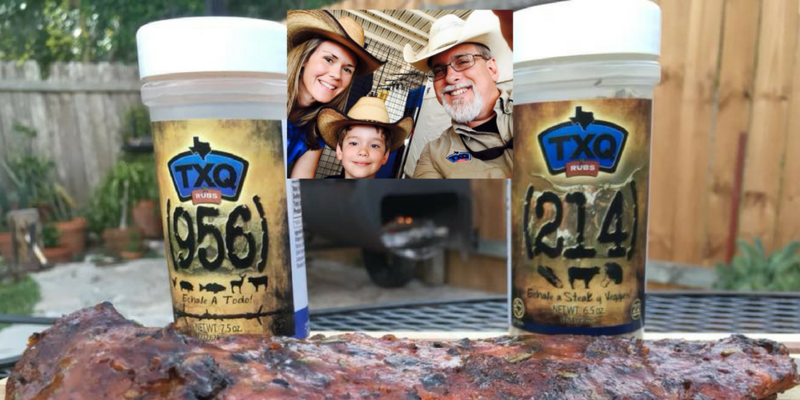 TXQ RUBS are amazing!!!! Lou cones is an amazing cook!! Everyone should catch his Sunday Facebook live series.